While composing a post or page, click on EMBED YOUTUBE from the options menu. 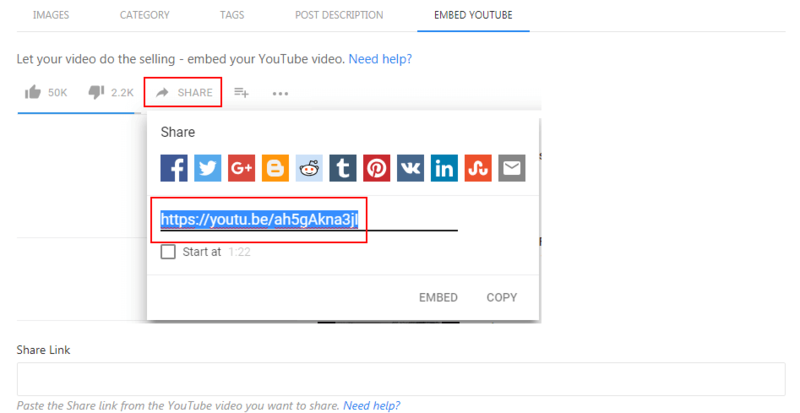 Go to YouTube and click Share beneath the video you want to embed. Click Copy to copy the share link. Return to BlogShops and paste the link into the Share Link field. When you save or publish your post or page, the video will be embedded!